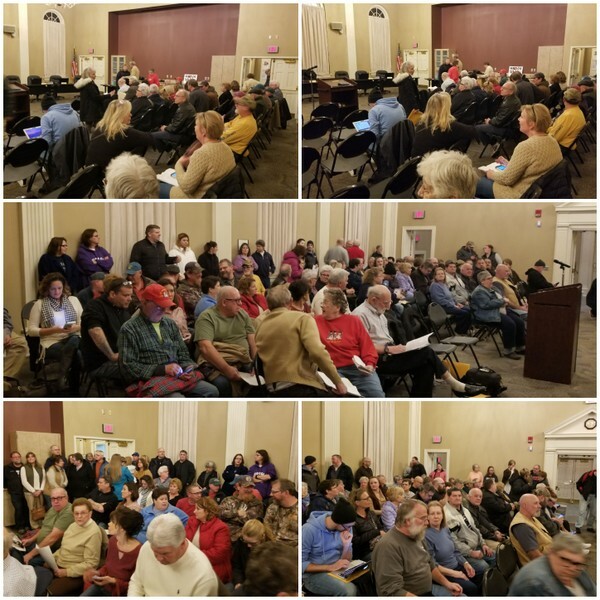 The number of Columbia property owners and residents swelled to over 130 last night at the January borough council meeting forcing many of them to participate in the American democratic process by standing in areas outside where the meeting was held. The meeting was moved from the council chambers at the borough offices to the larger area used by the Columbia Borough School District for its board of directors meetings a the District’s Administrative Center . All seven councillors, the borough manager, deputy manager, finance manager, codes enforcement manager — whose resignation was accepted at the meeting —, the mayor and police chief attended. The borough’s solicitor did not attend. One of the junior councillors was in attendance. News media, including regional outlets as WHP21-TV; WGAL8-TV; Penn Live and Lancaster Online and local online media sources, Columbia Spy and Columbia news, views & reviews also were there to record the meeting. NOTE: Columbia news, views & reviews and Columbia Spy are local news resources practicing “citizen journalism.” Both of these news resources audio record all public meetings. Each of the separate producers have other responsibilities and will be making time to further produce reports on last night’s meeting in the coming days after listening to the digital recordings. TAXATION WITHOUT REPRESENTATION: Last night showed everyone why residents do not attend council meetings. THEIR VOICES ARE IGNORED. 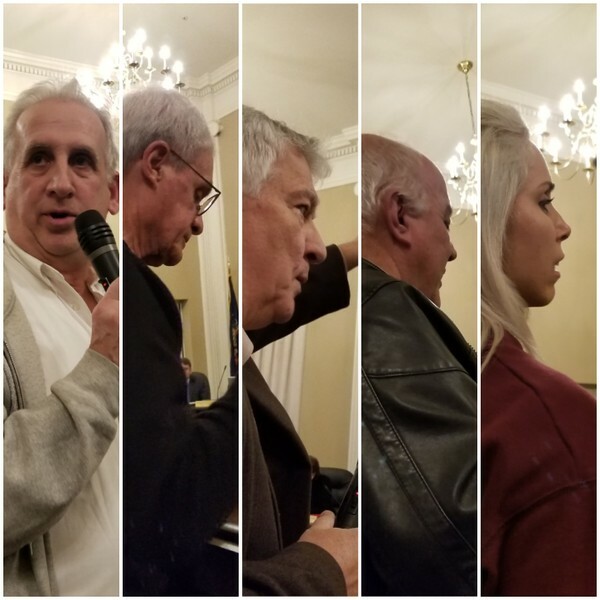 Council president, Kelly Murphy, read a lengthy, PREPARED statement proving that their minds were made up prior to walking into that room and hearing one word from residents who signed the petition…PRIOR TO HEARING ONE WORD. I believe this is the beginning stages of gentrification. I would say “vote them out”, but by the time they are gone, the damage will be done. How many seated on this council have gone door-to-door asking for your vote? How many of them have opened their private homes to the taxpayers in an effort to hear their concerns? They didn’t work for your vote, they put their name on a ballot, that’s all they did. Some never attended council meetings prior to taking their oath and making decisions for you. Now they control your wallet and your future. Taxpayers requested a special meeting be scheduled, again they were ignored. They do not want to hear from us. Residents continue to work toward resolving this situation because they knew council would do nothing. This past Monday the petition issues were moved forward to the next step. Such “representatives” need to be removed from office. Residents of Washington, D.C. also have the same problem on a national scale: They a non-voting representative in the U.S. Congress and NO senator. D.C. makes it clear by the motto on their license plates: TAXATION WITHOUT REPRESENTATION.